Looking for a dance form to work with? One that is expressive of feminine strength and classical beauty. Expressing both dark and light, but at a very high plane. Tending toward restoration of positive values of civilization; not about expressing angst of a disintegrating society. 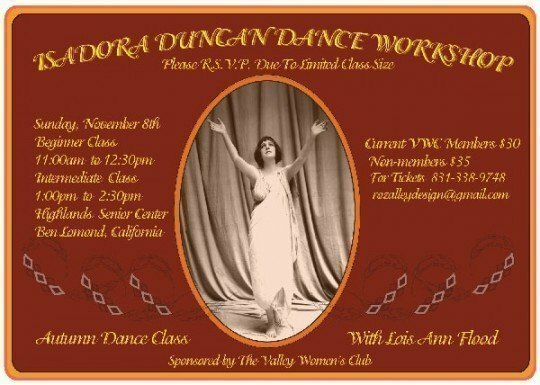 Consider Isadora Duncan dance taught by Lois Ann Flood. Hurry and call soon due to limited class sizes.